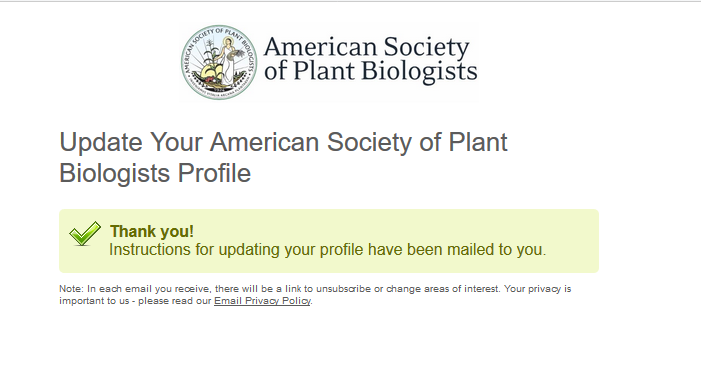 Thank you for your engagement with ASPB and Plantae. We want to make sure you are getting the information from us that you find valuable. To edit the type of emails you receive from us, please follow the instructions below. 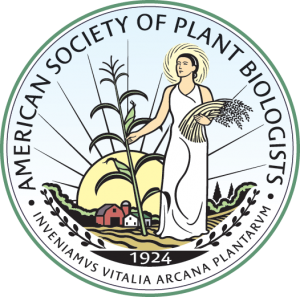 If you have any questions or issues, please contact info@aspb.org. 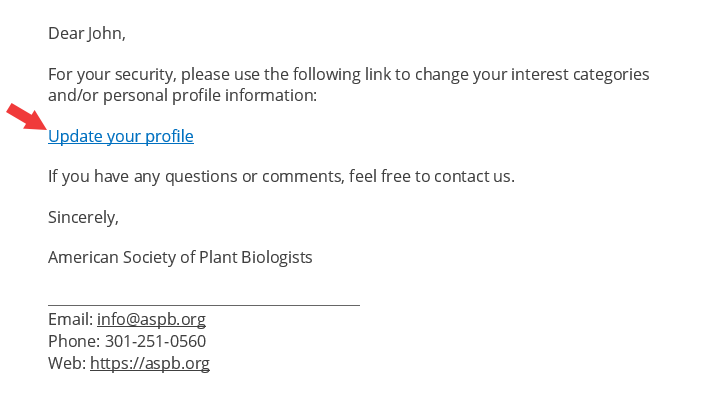 Click “Update Profile” from the footer of any subscription email you have received from ASPB or Plantae. You will be redirected to the following page. Click Submit. You will see this message. You will receive an email from the system (this might take a few minutes – please check your Junk Folder or Spam Filter if you don’t see it). 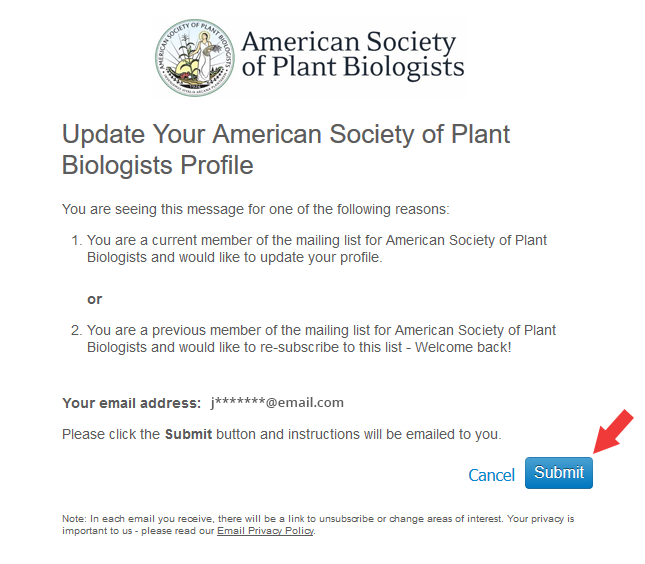 Once you receive your email, click the “Update your profile” link in the body of the message.